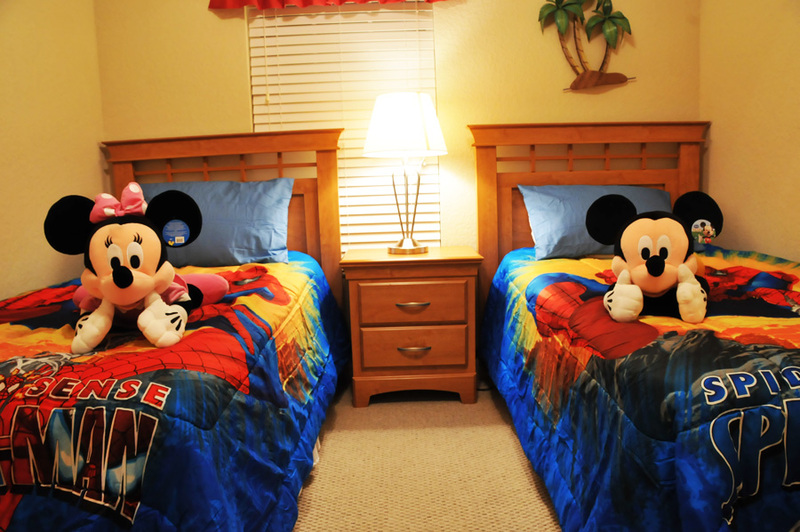 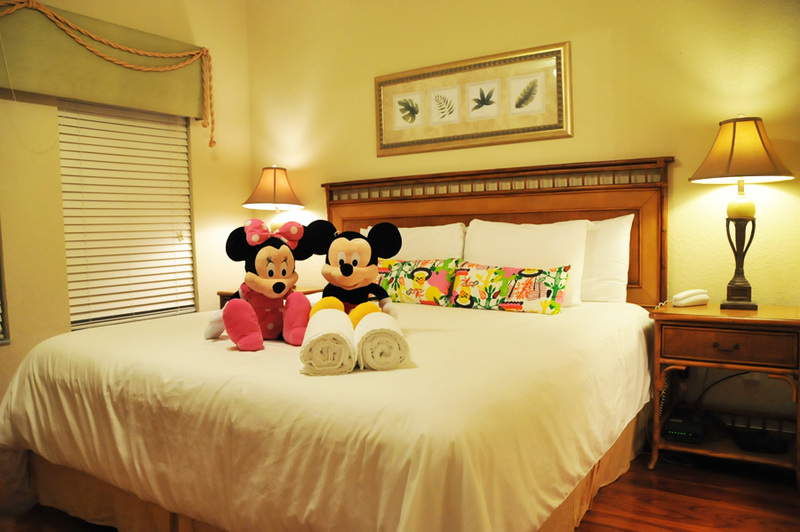 There's magic in the air at Coral Cay Resort! 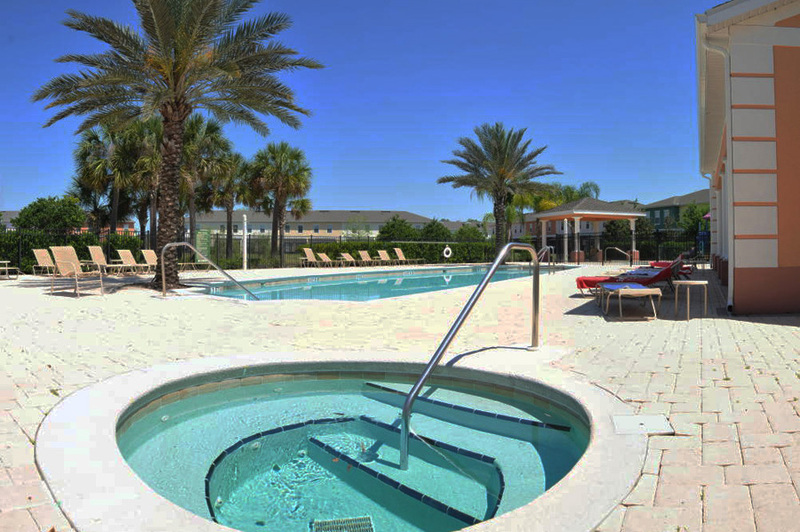 You will be greeted by beautiful palm trees upon your arrival at the gates of this charming community and you will be intrigued to discover everything this resort has to offer. 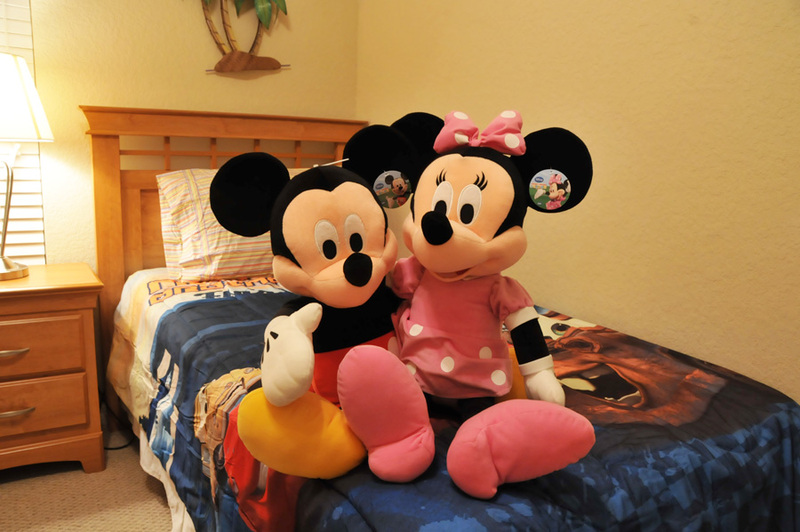 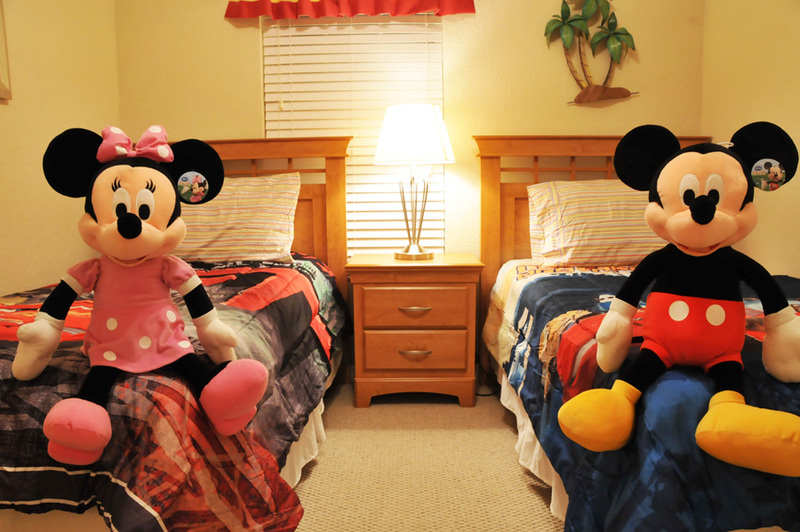 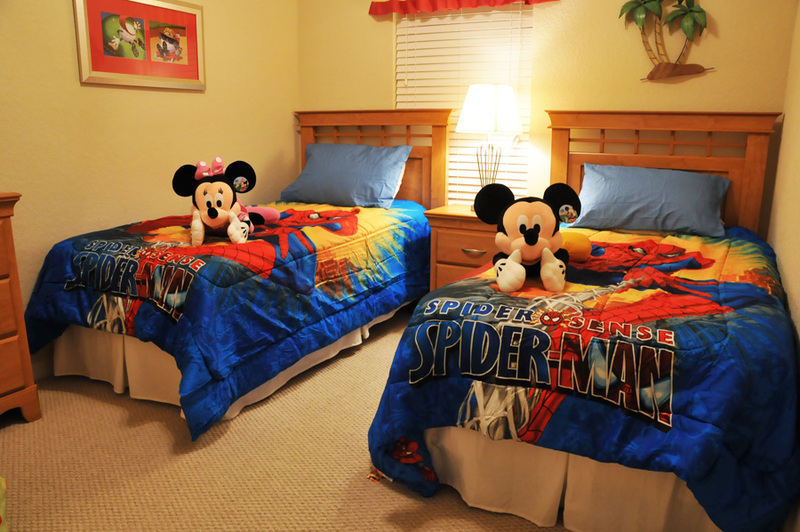 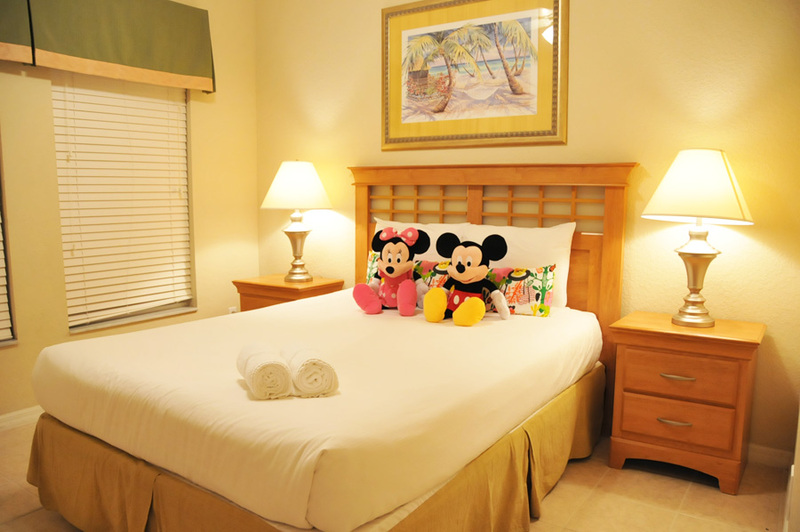 Located just a few miles from Disney and other popular parks in the Orlando area, Coral Cay Resort offers a great value for your vacation dollar for your large family or small group. 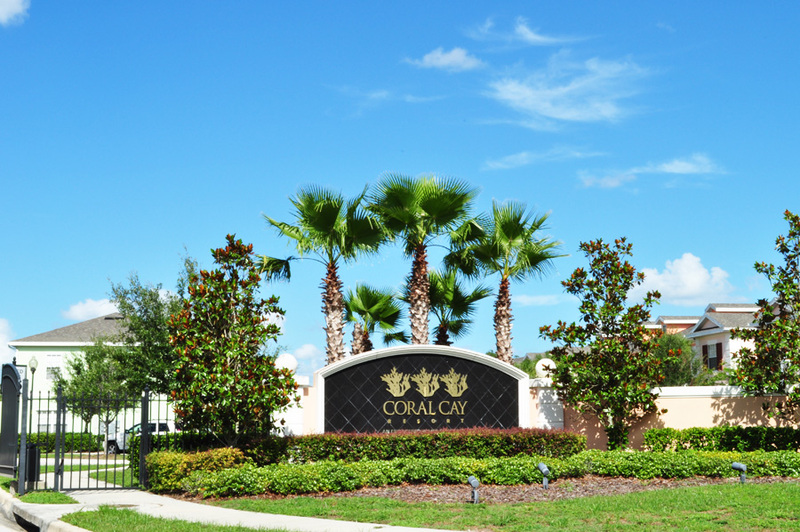 Leisure is the name of the game at Coral Cay. 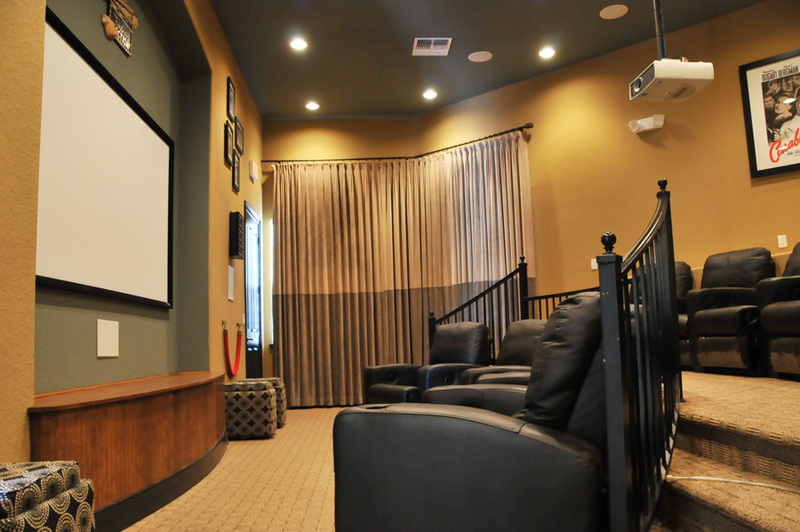 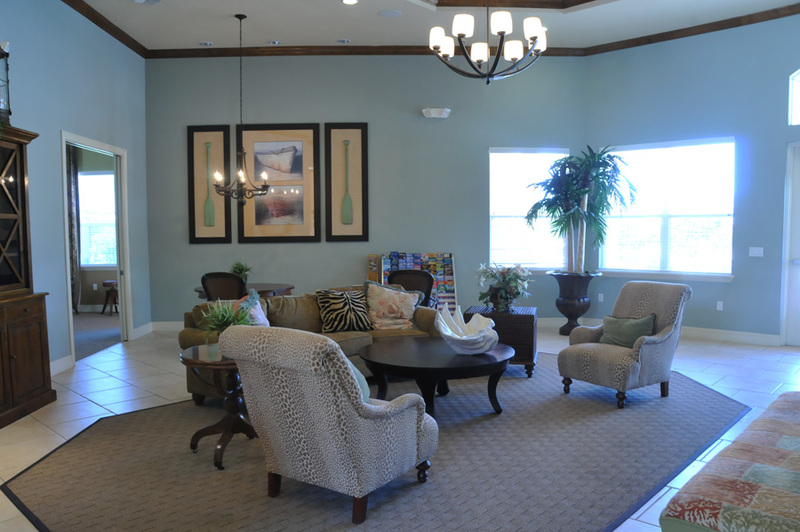 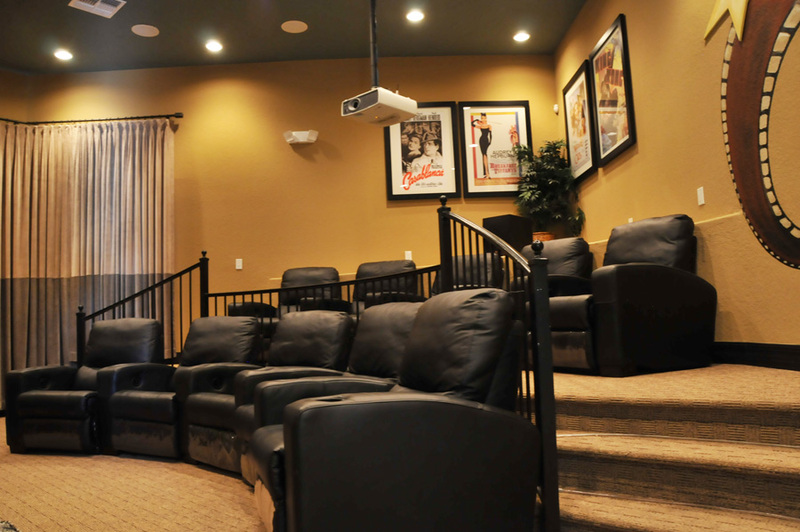 You can catch a movie in the clubhouse theater room with stadium style seating, lounge by the crystal clear clubhouse pool, or play with the kids at the adventure filled community playground. 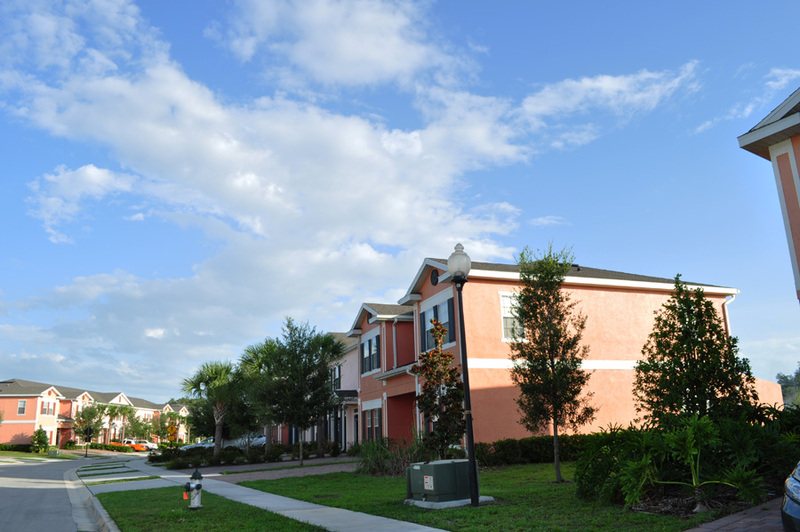 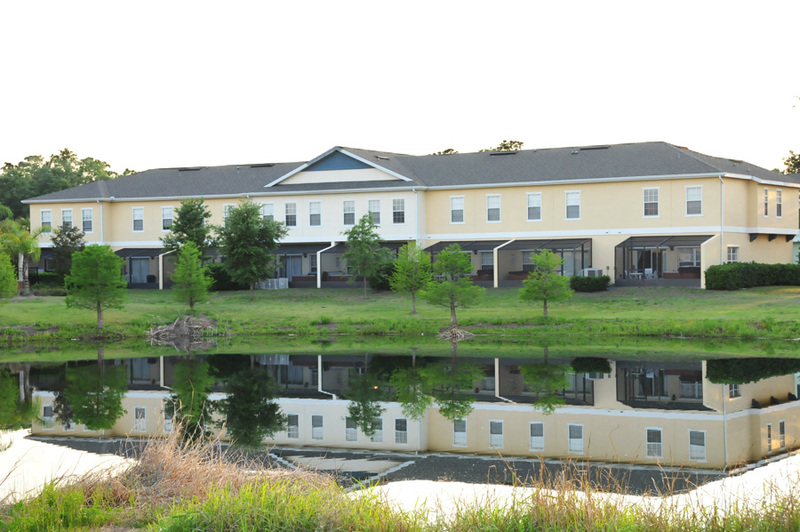 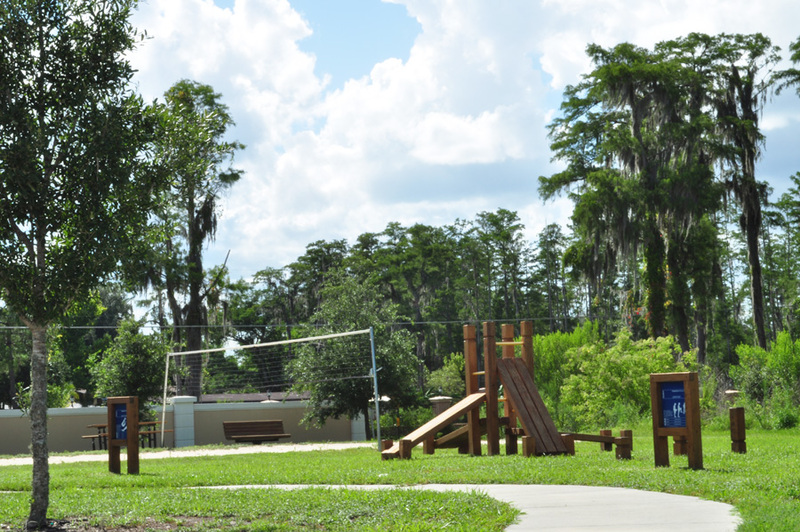 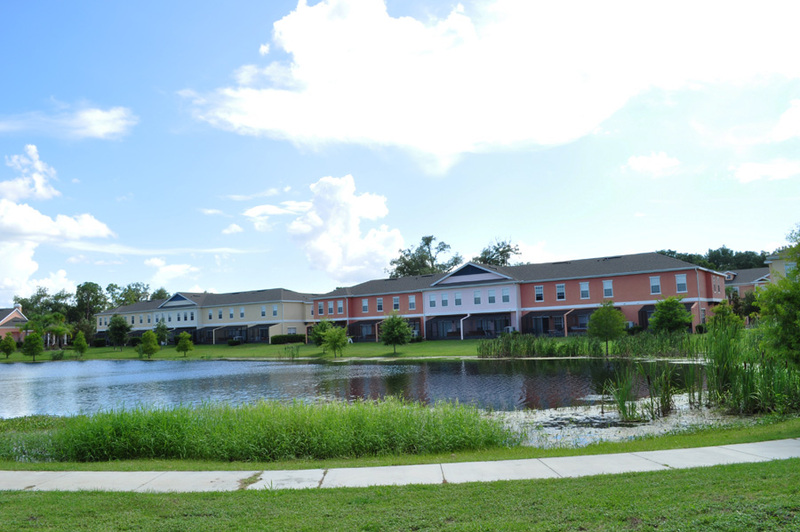 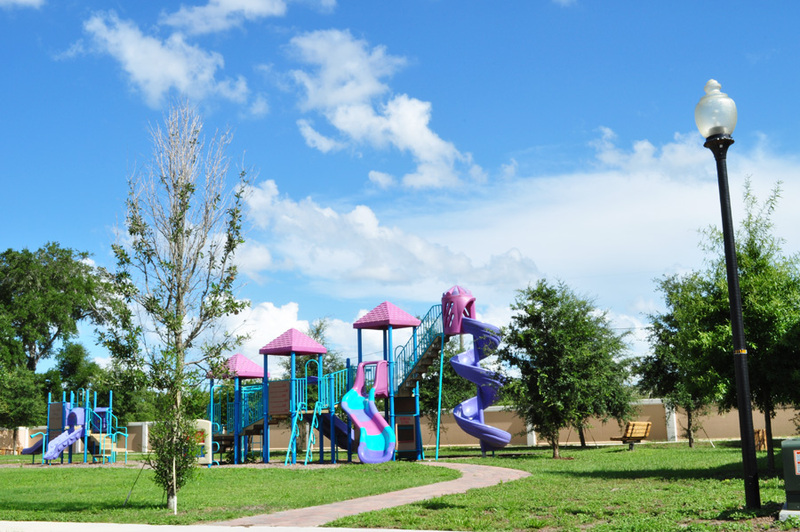 There's also plenty of serenity to be found at Coral Cay Resort at the community lake that can be enjoyed while strolling or biking along the paved trail that lies at the water's edge. 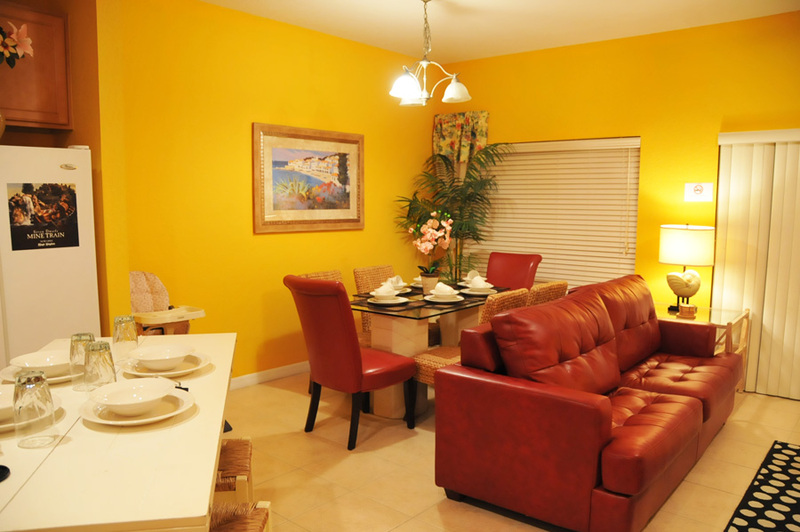 Your vacation townhome at Coral Cay Resort is charming as well, with a contemporary interior that will make you feel right at home upon your arrival. 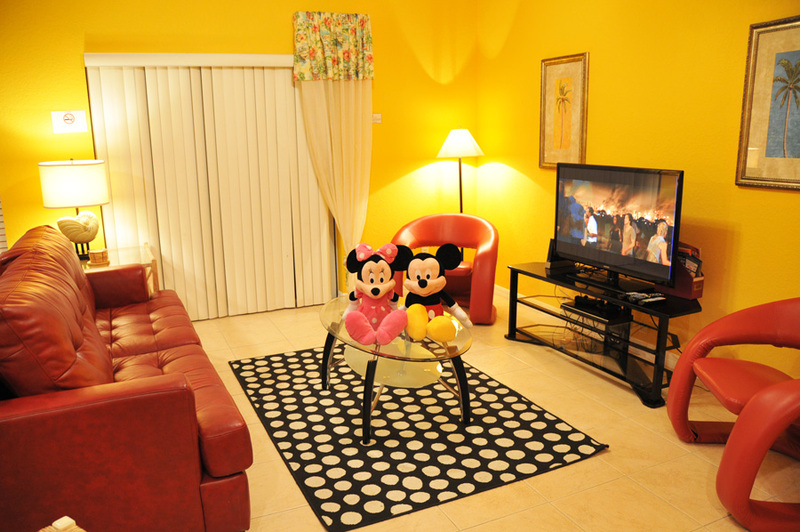 Your vacation townhome includes a large 42” LCD TV with DVD player for your viewing pleasure. 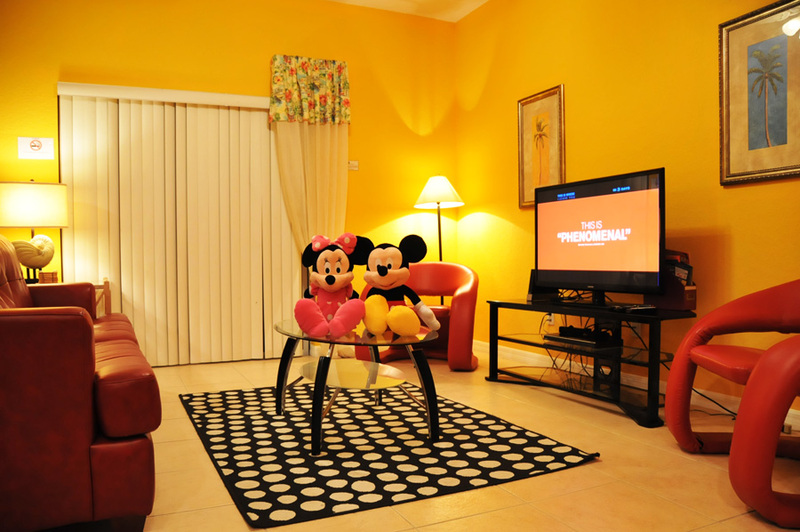 A Nintendo Wii gaming console will keep you and the kids entertained for hours too. 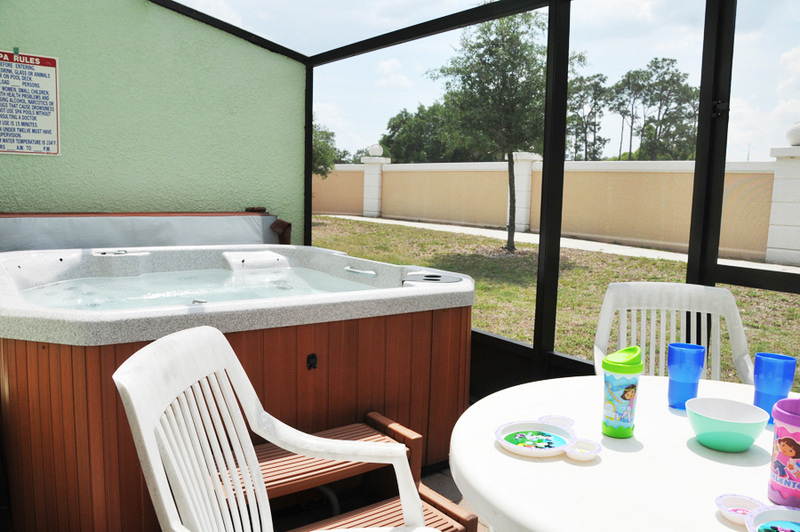 A soothing soak in the private hot tub of your Coral Cay vacation townhome is a special treat to look forward to after a day of fun and adventure in Orlando that you are sure to enjoy. 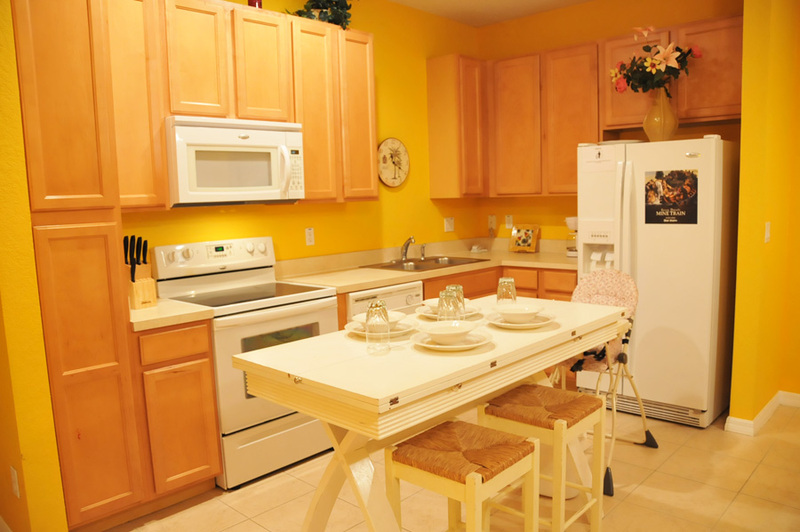 And when it's time to make a snack or great meal; you'll enjoy the convenience of the fully equipped kitchen that includes a refrigerator, range, microwave, toaster, coffee maker, blender, pots and pans, rice cooker, lobster pot and more. 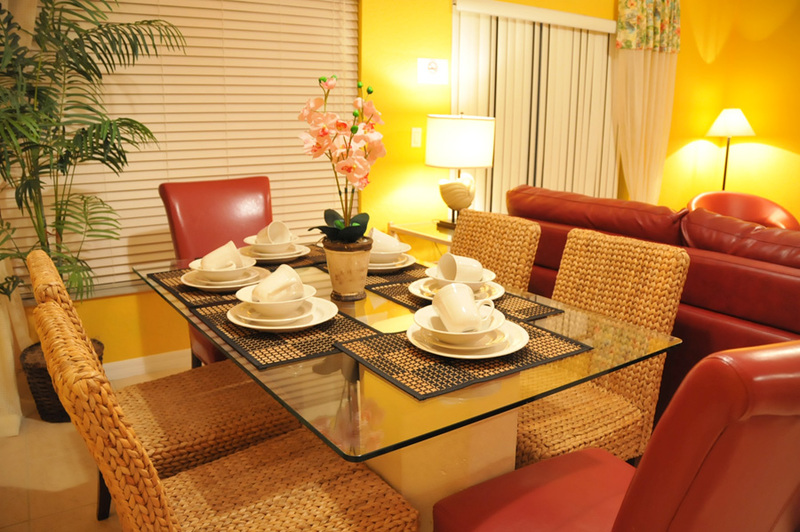 Once you've prepared something to satisfy your taste buds, you can enjoy casual dining indoors or dine out on the sun filled patio room; the choice is yours. 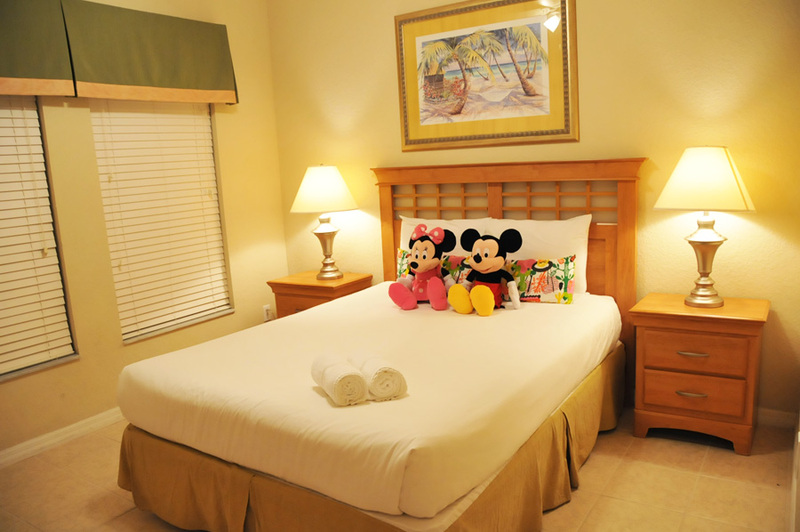 After a day of fun and leisure, you'll feel like royalty in one of the 4 spacious bedrooms. 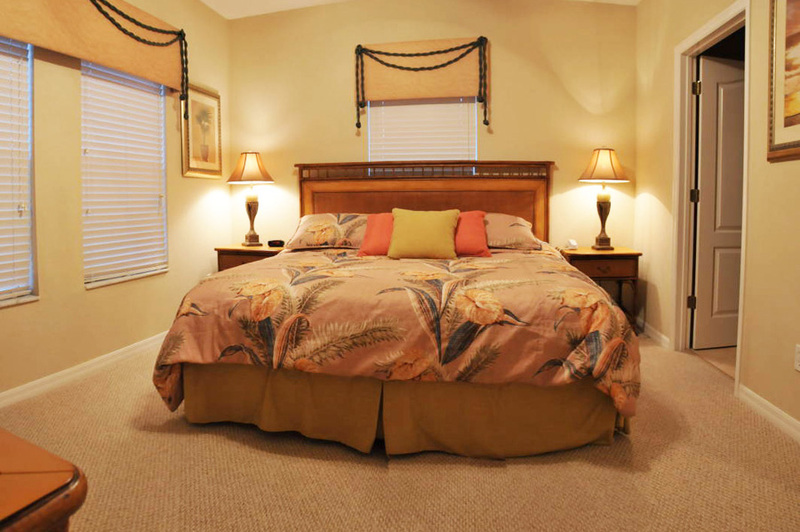 There is a total of 1 king bed, 2 queen bed, 2 twin bed, and a sofa which converts to a queen bed that offers the flexibility of extra sleeping space for two adults or children making your townhome suitable for up to ten adults and children. 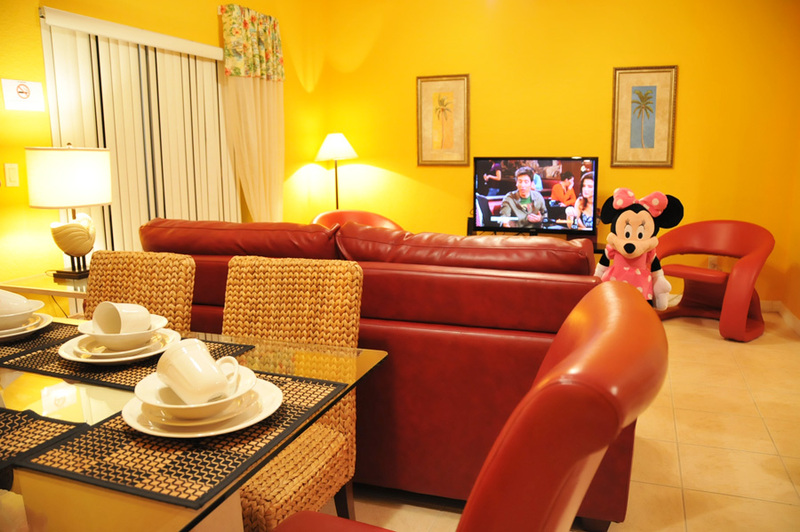 And everyone will appreciate the convenience of LCD HDTV with digital cable to be found throughout the unit. 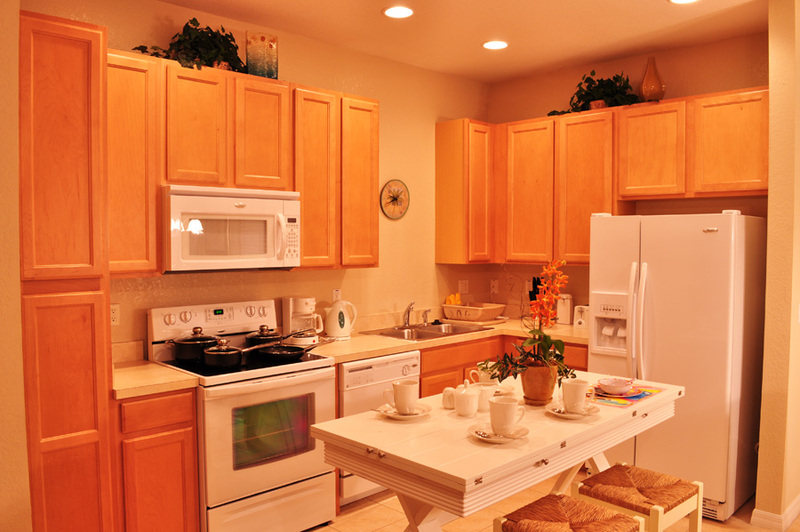 The convenience of 3 full bathrooms in your vacation townhome will keep everyone in the house happy too. 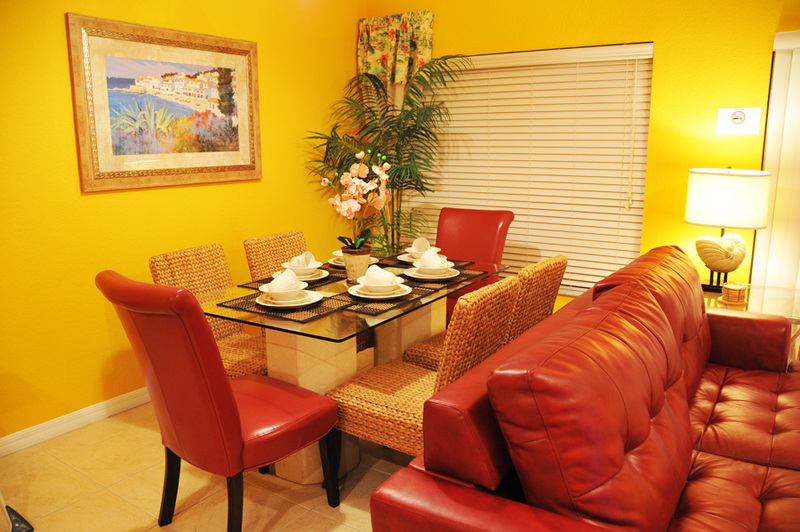 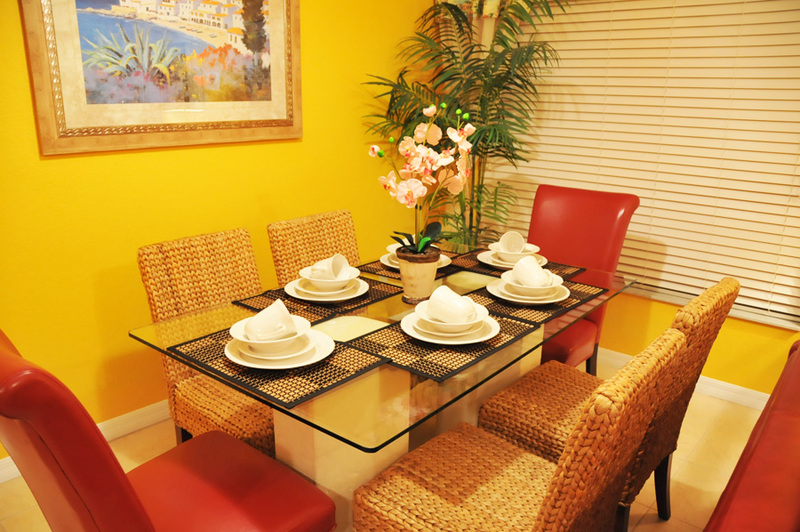 Your Coral Cay vacation townhome provides a vacation get away of value, comfort and convenience. 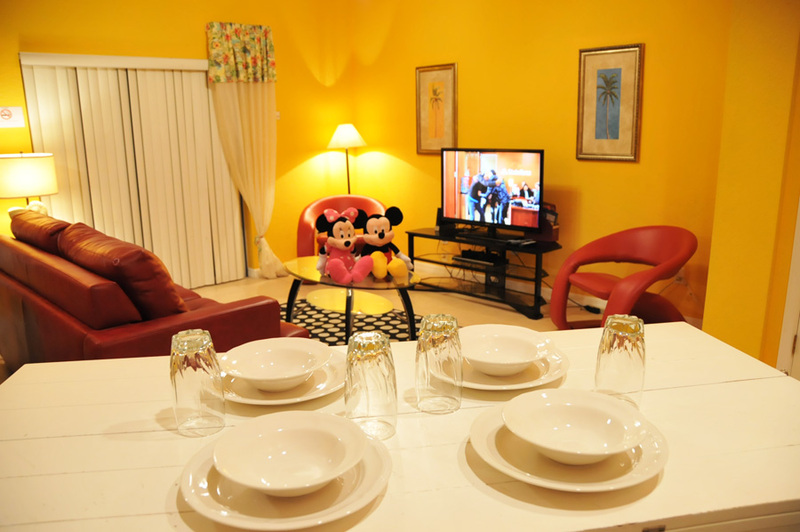 There's even baby gear like a stroller, high chair, crib and baby gate provided for guests that are traveling with infants or small children. 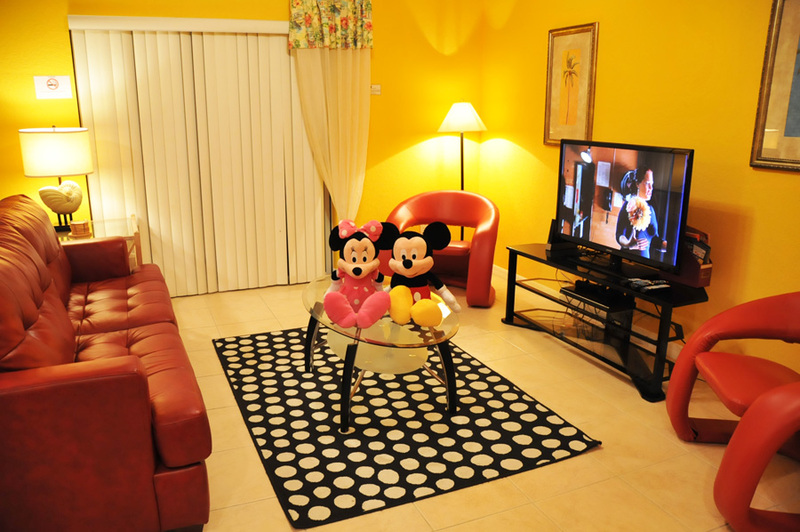 And when there's more that one baby in the family, more baby gear can be arranged for your Coral Cay vacation townhome; now that's a true “home away from home”!